Did you know that many patients I consult with have very expensive urine? These patients are taking amazing supplements, but their body is urinating them out! Why? They are not absorbing the nutrients from the products, and the nutrients are simply going down the toilet! Before I go any further, if you have been following my blog posts and social media, I bet you can tell me why? A few blog posts ago, I discussed LGS and what it is, the causes, and how to fix it. Well, if you have LGS, not only are you creating inflammation within your body, you are not absorbing your vitamins and minerals. I kid you not, I have had patients show me grocery bags, full of supplements. The record…36 supplements!!! This patient was taking 36 different supplements, daily, and she had been doing that for years. Let’s just say that the average supplement costs $13.00 (yes, I realize most are much more expensive than that), that is almost $500/mo of supplements she was ingesting!!! And guess what? She had LGS!!! Let’s rewind some to what LGS is. LGS is where your gastro-intestinal lining has been breached (infections, medications, food sensitivities, and hormones can be the causes) and now undigested foods, medicine, and/or supplements are slipping past the gut barrier and causing inflammation. Not only that, but your body wont absorb the healing nutrients from your food, not to mention your supplements. Be careful with what products you buy and take. A lot of supplement companies do NOT have stringent quality control systems in place. The ingredients that some companies use may be sourced from sub-standard 3rd parties. Some products may contain lots of binders and fillers. Binders and fillers are used to help package the tablets/capsules. Some of these binders/fillers are inflammatory to the body, especially, autoimmune patients. Or…a laundry list of ingredients. The fewer the better! Biotics Research – I love their thyroid supplements, and Pea protein. This is not an exhaustive list, by any means, but these are the companies I cherry-pick from. I am not married to one supplement company, by any means. Some companies are great at producing thyroid support, while others are fantastic at making liver support. Each company has wonderful products, and over the years, I have formed my opinion on which product works best for certain conditions. How Do You Know Supplements Work? Testing, testing, and more testing! Remember, lab tests do not lie (as long as you know how to read them correctly)! There are companies, like Great Plains Laboratory, who check, what seems like hundreds of vitamins and minerals, to see what you may be deficient in. You can do before and after testing (I use to do this with every patient when I started working with chronic health conditions), which can be a little expensive, but at least you KNOW, for certain, the changes that have taken place. Plus, I use, along with my family members, a lot of the companies listed above, daily! I only want the best, purest, cleanest product going into my body, and I feel the same for you patients. I hear this question, quite a bit. I understand why people think this way. Heck, I use to think this way. Let’s explain it this way…if you are sick (your body has broken down), you will need more supplements, more frequently, to help heal your body than someone who is NOT sick. Once you are healed, I don’t expect a patient to need the same amounts of supplements as they did in the beginning. At a certain point in time, I would expect to level out the amounts and frequency of the products you are using. Can’t I Just Eat Healthy? Sure, and you should! However, the quality of foods now-a-days is poor. Not to mention, very few people eat enough veggies throughout the day (where we get most of our amino acids from). Heck, most patients don’t even drink enough water (hint: increase your water intake to half your body weight in ounces…your body will LOVE me for telling you that). This means, we need to rely on supplements to pack some of the vitamins and minerals in. For example, Vitamin D…almost 60% of Southern California residents are Vitamin D deficient! I have analyzed blood work from patients that spent most of their day outside, in the sun, and they were still low on this critical vitamin (it is actually a hormone, but I am getting side tracked). With all this being said, I highly recommend that you work with a doctor that understands gut health and LGS (remember, I had this growing up). If you are tired of trying to get your doctor to listen to you, contact me, I can help! We will schedule a complimentary phone consultation to discuss what is ailing you. If I feel, I may be of help to you, then we will go to the next step, which may be some blood testing. Your life is too important for you to be sick and struggling with a health condition. Call now: (866) 375-4641! CLICK BELOW TO DOWNLOAD A LIST OF THE 67-MARKERS I RUN ON EACH AND EVERY PATIENT. THIS IS MY BASIC SCREENING TEST TO DETERMINE IF ANY SPECIALIZED TESTING IS REQUIRED. Energy loss is one of the most common symptoms I hear from patients. We all could use more energy at some point during the day. Heck, if you told me I could improve my energy by 20-25%, I would do whatever it took to acquire the boost. After consulting with thousands of patients over the last 12-years, the number one cause of energy loss I have seen is due to autoimmune conditions. Guess what? Autoimmune conditions are on the rise! Drastically, on the rise. For example, there are over 20 million hypothyroid patients in the US. 90% of these patients are misdiagnosed and suffer from an autoimmune condition called Hashimoto’s Disease. Energy loss is one of the most common symptoms in these thyroid patients. That is about 18,000,000 patients struggling with energy loss…and this is only one autoimmune condition. There are over 80 types of autoimmune disease, that we know of. According to the American Autoimmune Related Diseases Association (AARDA), there are over 50 million Americans struggling with autoimmune conditions. Autoimmune is Autoimmune, and this means Energy Loss! While I focus a lot of my attention on thyroid patients (my fiancé, step-father, mother-in-law and sister-in-law all have Hashimoto’s Disease), I continue to work with and consult patients with Multiple Sclerosis, Rheumatoid Arthritis, Lupus, and Type 1 Diabetes, to name a few. When I begin evaluating patients with energy loss, I start by looking at 5 aspects of each patient’s health. I like to call them the 5 pieces of the health puzzle. Infections – Doctors miss infections, a lot. Parasitic infections are the most common type of infection I see in patients. On top of parasitic infections, there are hidden bacterial infections and even viruses that start to break the body down. Food sensitivities – YES, YES, and YES!!! Many people suffer from food sensitivities and may not even know it. Autoimmune patients ALL have some type of sensitivity, or multiple food sensitivities, that are affecting their health condition. 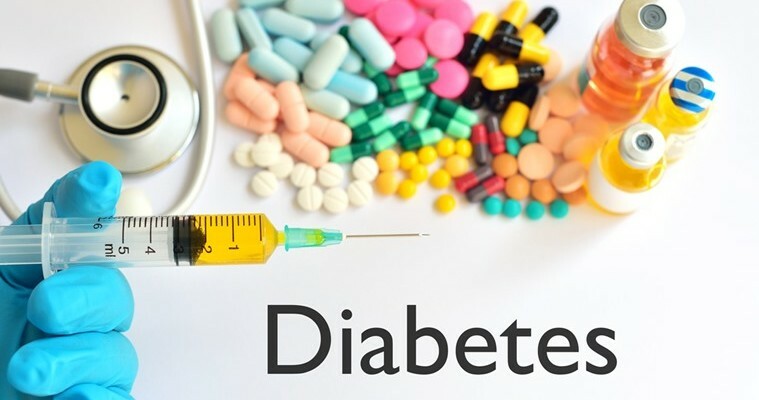 Blood sugar stability – Blood sugar fluctuations will affect the adrenal glands, a couple of very important organs that regulate hormones in the body. If blood sugar is up and down, so is your energy. Liver health – Your liver plays a vital role in detoxification and hormone regulation. If your liver is not working well, energy loss is sure to occur. BONUS…I also look at antibody markers to determine if someone is suffering from an autoimmune condition. Patients routinely say, “My doctor told me my lab tests are normal, but I still don’t feel well”. That is a sign that there is an underlining issue and someone needs to dig deeper. 80% of your immune system is dependent upon a healthy functioning gut. Once the gut lining breaks down, then all bets are off. Most of the time this leads to an autoimmune condition. Why does the gut lining break down? Food allergens: this is one of the most common reasons why people’s gut lining breaks down, causing Leaky Gut Syndrome/Intestinal Permeability. Adrenal gland stress: the adrenal glands are the STRESS GLANDS! Stress is one of the driving forces for autoimmune conditions and cancer, as they release hormones that can cause lots of destruction. Show me a chronically sick patient, and I will show you someone with dysfunction of their adrenal glands. Infections:infections destroy the gut lining. Medications:antibiotics not only kill the bad guys, but they kill the good guys that help to absorb your vitamins and minerals, your gut flora. Hidden infections are a HUGE culprit that cause energy loss. As I mentioned above, parasitic infections are the most common infection I find in my patients, even after the patient has been to their “traditional doctor”. Why do doctors miss these infections? Simple, most basic blood tests are not sensitive enough to find deep rooted, hidden infections. Parasites (critters, as I like to refer to them) can be undetectable in basic blood work, and more in-depth stool testing is required (note: not all stool tests are created equal, either). Bacterial infections, especially H. Pylori, wreak havoc on the stomach and the GI lining, affecting energy, and causing acid reflux/indigestion. Viral infections are another MAJOR cause of energy loss. A lot of people have heard of Epstein-Barr Virus (EBV), commonly seen in athletes. After working with a ton of professional athletes that suffered from EBV, and having a fiancé that struggled with it, I can tell you that EBV is one of the worst viruses you can develop; sapping you of your energy to the point where you can’t even get out of bed, or walk up a flight of stairs. Be careful with what you are eating now-a-days. The nutritional quality of food in the United States is poor. Yes, we see more and more organic foods in the grocery stores, but there are companies out there (we won’t name names) that are only interested in one thing, MONEY! When money is the only driving force behind people’s motives, they will do anything it takes to make more, including putting poison on/in our food. Don’t forget to note, that our foods have been genetically modified in order to increase supply, but our bodies don’t recognize these genetically modified foods, as food, anymore. What happens when you put a foreign substance into your body that your body doesn’t recognize? Your body attacks it and destroys it! When the genetically modified grain is destroyed, inflammation is created which causes destruction o the GI lining. Anytime, someone reports a loss of energy, I always look at what they are eating. Did you notice I didn’t say stop eating sugar? That should be obvious, but many people eat a TON of sugar, and some don’t realize it. Diabetics (Type II) are guilty of this, as lot of them eat an enormous amount of sugar, in the form of fruit. What I said was, control your sugar! Meaning, you need to stabilize your blood sugar throughout the day. This means, eating frequently enough that you do not let your blood sugar (glucose) get low. When it gets low, cortisol gets released, and large amounts of cortisol cause lots of inflammation. Certain foods contribute to spikes in blood sugar as well, which is not ideal. How someone eats, and when, is extremely important to their health. Your body has a filter that gets clogged up, much like the lint filter in a dryer. That filter is called, your liver. If your liver, which helps to detoxify your blood and utilize hormones, gets clogged up, you will suffer B vitamin deficiency, emotional distress and even thyroid gland dysfunction. Cleansing the liver is one thing almost every patient of mine goes through. There are many different liver cleanses out there, so make sure to choose one that is doctor guided. You probably thought I was going to tell you to eat a newly discovered berry and drink this special organic, fermented drink. Well, while those may help give a healthy person a boost of energy, they won’t help heal someone’s body that is suffering from some of the what we discussed. If you, or someone you know, is struggling with energy loss, make sure they have a doctor that is looking at the 5 pieces of the puzzle above. If you would like to read more about autoimmune conditions, download healthy recipes, or ask me any questions, head over to www.askdrking.com.